With the official 2018 ratings year now complete, the Seven Network is triumphant once again taking the title of Most Watched Network, and Most Watched Primary Channel for the 12th consecutive year. Despite a mid-year slump where a string of programs including Dance Boss, House Rules, The Single Wives, Take Me Out, and Back with the Ex all failed to find an audience. Seven was able to hold to its number one title due to the strength of Seven Nightly News, MKR, and its impressive arsenal of sports rights including the AFL. Seven also finished the year with the Nb1 multi-channel with 7mate continuing to perform strongly while being one of the few channels focused on providing content for men. The Nine Network took the title of second place Network and Primary Channel. Highlights included continuing strong success of reality titles Married at First Sight, The Block and the networks NRL coverage. 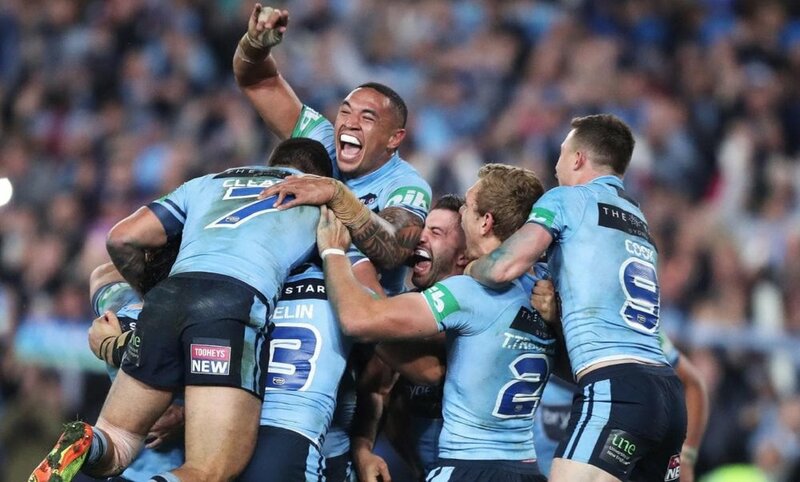 Based on national (metro regional) ratings figures, the first State of Origin rugby league match between New South Wales and Queensland was the Nb1 sporting event of the year scoring an average audience of 3.445 million viewers (5 City: 2.347 million/Regional: 1.097 million). In a year that has been extremely challenging for drama, Jack Irish on the ABC was a rare highlight. Its audience reaching as high as 1.323 million nationally. In its first full year of being owned by CBS, things have failed to improve at TEN. The network and primary channel again finished in 3rd place, narrowly ahead of the ABC. The network remains focused on the under 50s demo. Highlights included MasterChef performing strongly and shows like Have You Been Paying Attention?, Australian Survivor and Gogglebox increasing their audience year on year. Most concerning for TEN would be the ratings for the weekday edition of The Project which is down 11% year on year. Seven’s Director of Network Programming Angus Ross said: “The final results are in, and the scale of Seven’s win is clear. The simple fact is more people watch the screens of Seven. More men, more women, more young people, more of every key demographic. Network 10’s chief executive officer Paul Anderson said: “We head into 2019 with fantastic momentum. We are the under 50s network and our audiences are growing - fact. This year, we had five of the seven prime time marquee shows that delivered growth year on year. The Bachelor Australia, Australian Survivor and Have You Been Paying Attention? and Gogglebox Australia 2018 second season (H2) achieved their biggest seasons to date while The Sunday Project increased its audience year on year. “Channel 10 was UP 0.7 points in our key under 50s demo, 0.9 points in 16 to 39s and 0.7 points in 18 to 49s. Coupled with this linear growth, 10 Play grew an incredible 16% year on year in video segment views. “Our shows get people talking. Think MasterChef Australia, I’m A Celebrity … Get Me Out Of Here! and The Bachelor Australia – all you have to do is jump online while they’re airing to see social conversations about these shows light up!